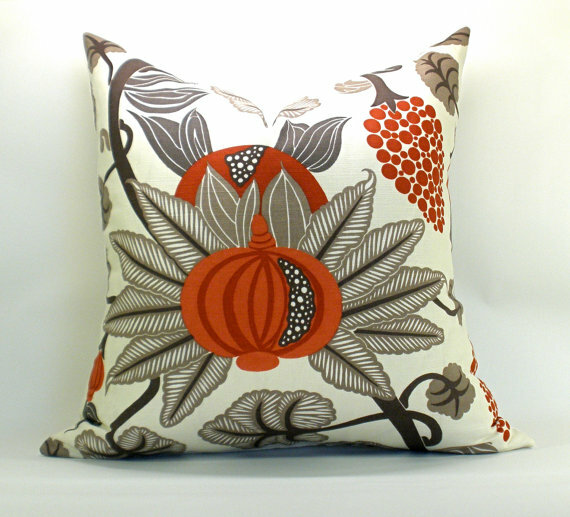 i am thrilled to welcome my newest sponsor, spark modern-- one of my favorite etsy shops for pillows. i often use spark modern pillows in my e-design and pinterst boards because i know they are well made, and i love the fact that each of their pillows are made to order. 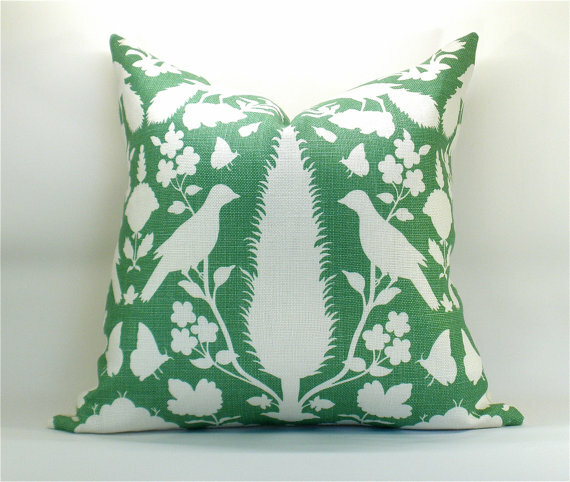 this allows each client to customize the pillows as needed. i find myself using this fabric a lot, and for good reason. the colors are beautiful and the small scale geometric print looks great EVERYWHERE. 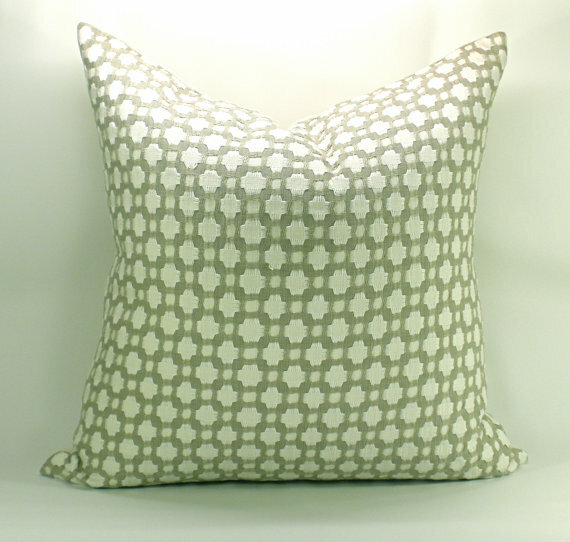 spark modern has great prices for these pillows, and currently offer several different sizes and 6 color ways of this fabric. 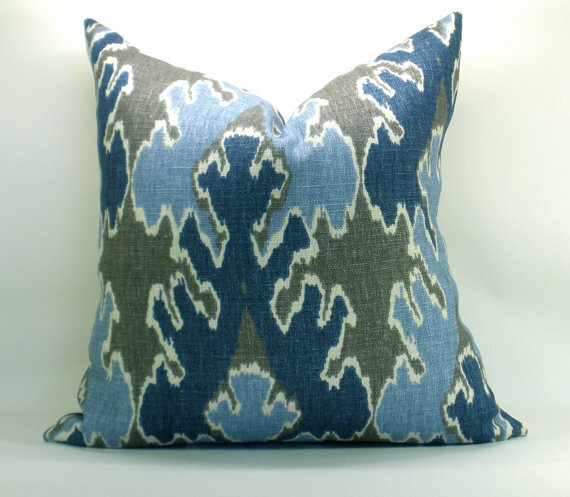 kelly wearstler's bengal bazaar pillow in grey/indigo. this fabric is a great balance between masculine and feminine. wouldn't this look perfect on a white slipcovered chair? oh boy. it is insane how much i adore this fabric. this colorway is particularly scrumptious. it's not to late to perk up your porch or patio, and this trina turk sonriza pillow marine/pool would do the trick! 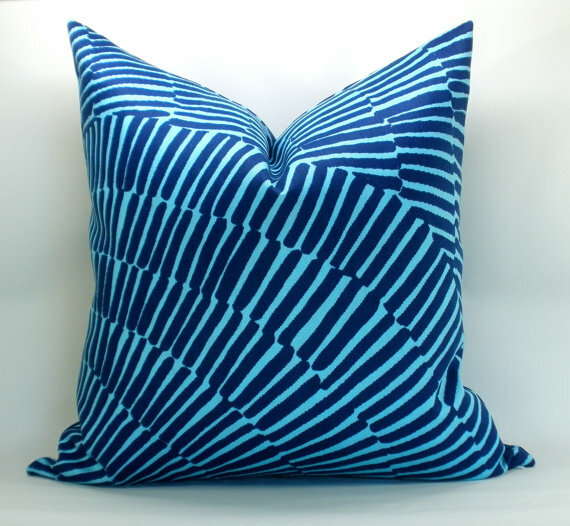 be sure to check out spark moderns etsy shop and check out all of their other great pillows! wow, these pillows are gorgeous! Thanks! I wanted to stop by and say hello, I just found your blog and I love it...I love finding new ideas for my home and your blog is filled with great ideas...so thank you for sharing your creativity and design ideas.